Want to become a makeup artist? Whether your dream is to work with the best backstage beauty gurus come fashion week, groom A-listers ahead of the red carpet or create gorgeous looks for brides on their big day, there’s one thing all makeup artists have in common: determination. Though the glitz and glamour of the industry have their allure, being a full-time MUA is hard work, not to mention highly competitive. The good news, however, is that there are endless ways to make it to the top, and with huge beauty-loving communities on social media, there’s already a hungry fan base just waiting to drink up your creativity. So are you ready to make your mark in the makeup world? 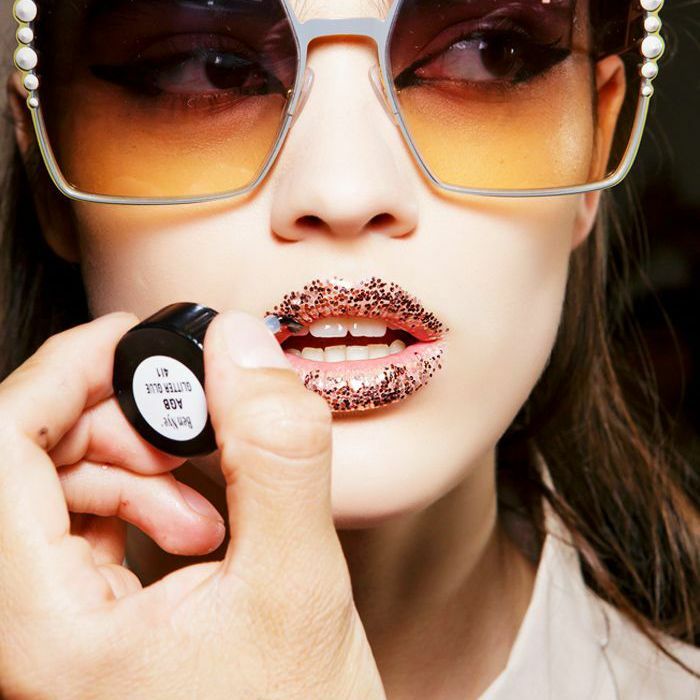 To help you get there, we’ve consulted four of the very best makeup artist in the business. Keep scrolling for career-boosting tips from four of our favourite makeup gurus: Katie Jane Hughes, Danielle Roberts, Hannah Martin and SJ Froom. MUA Danielle Roberts, national artistry manager for Urban Decay, has become an Instagram powerhouse thanks to her bold makeup skills. Here’s her verdict on how to get started yourself: “When starting out as an MUA, never say no, no matter how big or small the job, because big breaks don’t happen straight away,” she shares. “By taking on as much work as possible, you’re constantly building and expanding a network of useful contacts. As they say, it’s not what you know; it’s who you know. As a fashion week veteran, a bridal makeup specialist and Bobbi Brown Pro Artist, Hannah Martin knows what it takes. Here’s her advice no matter what level you’re at… “If you know from a young age that you want to get into the makeup industry, then focus on arts subjects at school so you can progress to do an art foundation course and follow with a degree course like London College of Fashion’s theatrical makeup degree. “Come to makeup later in life? Then seek to work for a makeup brand in-store to gain makeup experience and practice your art. You’ll also be trained by the brand you work for and most likely be eligible for a staff discount, which is really helpful when trying to build your kit. Research short courses and look to do a few to build your skillset and confidence. Delamar Academy is one of my favourite makeup schools in London. Make sure you research the course to ensure you’re going to be taught current makeup looks and trends—you don’t want to pay to be taught dated techniques. “Regardless of how you enter the industry, assisting work is priceless. Try to network, and ask to assist makeup artists you know or admire. You may not be paid, but what you learn in both skill set and behaviour can often be better training than any makeup school. “Always look to stay inspired by researching makeup trends and makeup artists online, social media and in magazines. This will help you broaden your knowledge of makeup styles and genres, which will in turn prove helpful in your career. Study makeup books whenever possible too. I have many in my collection, which I often refer to, but when I was a miserable student desperate for a career as a makeup artist, I used to spend hours in Oxford’s bookshops devouring books by the best makeup artists from around the world. “Document your makeup work either on a website or through social media so people can easily see your work. Make sure you keep your makeup images raw and unfiltered so it’s true to life. Don’t be a diva! Often it’s the makeup artists who aren’t necessarily the most talented who get rebooked, but the ones who are on time, reliable, easy to work with and fun to be around. SJ Froom, international makeup artist for BareMinerals, has been in the game for over 20 years. Here’s her guide to making it to the top… “Do an accredited course. I recommend David Horne’s courses at House of Glam Dolls. Start testing as this is where you work with other creatives and start building your book. It’s an opportunity to meet other artists, photographers and stylists. “Set up a website to display your work—this will help in organic opportunities coming through via social media. Social media really is key, so be present and active. Contact all of the agents and ask if you can assist for free to build up your portfolio. Network at every shoot or creative event. You never know who you’ll meet. Next up, the number one rule if you want to set up your own beauty brand. Ask a Makeup Artist: How Do I Keep My Smoky Eye from Becoming a Mess? Ask a Makeup Artist: What Are the Best Eyelash Curlers?